Forgive, please, this muddled post, more a dialogue with myself than intended for general readership but ‘published’ as a sort of Foucauldian attempt to overcome internal resistance. Lately I binged on Sontag’s essays. Central to her work are themes of alienation, negation, and a term she uses that I particularly embrace, disburdenment, in the sense of intellectual, or cultural disburdenment. How to refine one’s filters, to jar one’s pre-conceived narratives? Can it be done solely using cultural and intellectual expedients? Foucault in The Use of Pleasure talks of ‘technologies of the self’ as “models proposed for setting up and developing relationships with the self, for self-reflection, self-knowledge, self-examination, for deciphering the self by oneself, for the transformation one seeks to accomplish with oneself as object”. Lately I find myself moving toward muteness, different from silence; refraining from personal expression, not due to a failing of language, but out of a fundamental boredom with myself, not entirely rooted in self-absorption, more with what I signify as a heterosexual, white male (the lowest difficulty setting there is). If I am profoundly bored with much of the cultural outpourings of university-educated, middle-class, straight white men, what more should I add to the discourse but muteness? Remember the arm-wrestling match in The Old Man and the Sea? Mano a mano, in which the compulsion to settle into muteness struggles with a deep rooted urge to (re)create, to narratively recreate oneself. Below is an extended quotation from Olivia Laing’s The Trip to Echo Spring. The book is a beautifully written, lovingly researched, fascinating account of why writers drink. It is one of those discursive, genre-busting books that I enjoy so much. Laing succeeds in offering an alternative way of reading Hemingway, Fitzgerald, and Cheever. This passage concerns John Berryman, whom I must read sometime soon.I quote without further comment a passage that continues to play on my mind. A line came into my head then. It was from another Dream Song. What was it? Something about pieces. ‘The pieces sat up and wrote’? Yes. until he went to pieces. The pieces sat up and wrote. The overwhelming infantile wail of that need need need, too urgent even for punctuation. If you carry that sense of starvation – for love, for nourishment, for security – with you into adulthood, what do you do? You feed it, I suppose, with whatever you can find to stave off the awful, annihilating sense of dismemberment, disintegration, of being torn apart, of losing the integrity of the self. There are the terrors of the infant waiting for the breast, or they are if you read Freud and Melanie Klein; and these are the terrors of the adult whose childhood sense of security was ruptured before they managed to build a sturdy enough skin with which to face the world. Hardly any wonder that the Dream Songs are so obsessively interested in the state of being skinless or having one’s pelt ripped off or stripped away. Indeed, Berryman once joshed bleakly to his editor about having them bound ‘blue-black’ in scraps of his own skin. 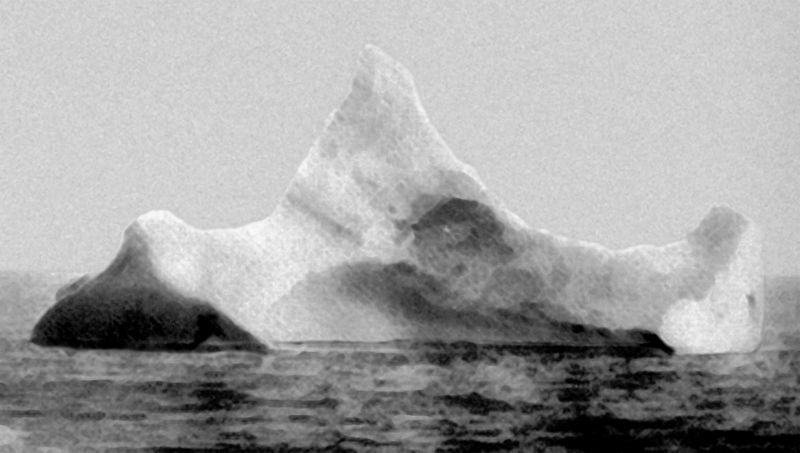 Suspected to be the iceberg that sank the RMS Titanic, there is supposedly a red smudge, like the Titanic’s red hull, near its base at the waterline. In iceberg jargon this would be termed a pinnacle, an iceberg with one or more spires. As we all know, typically only one-ninth of the volume of an iceberg is above water. Thank you for reading my rambling, but why did I get distracted by icebergs? The theory of omission, which Ernest Hemingway termed the iceberg theory, is what lead me down an internet rathole labelled iceberg. In The Art of the Short Story, Hemingway wrote, “A few things I have found to be true. If you leave out important things or events that you know about, the story is strengthened. If you leave or skip something because you do not know it, the story will be worthless. The test of any story is how very good the stuff that you, not your editors, omit.” It is this theory that drew me to Hemingway and keeps me reading his work despite the macho posturing that I find tedious. In That Smell, Sonallah Ibrahim is influenced markedly by Hemingway’s style but in ways takes it further, perhaps because it lacks Papa’s machismo. The short work describes a series of scenes that follow a narrator’s release from jail in prose that is honed with Damascus steel, sufficiently laconic to make Salinger appear garrulous. But even without possessing a deep knowledge of Egyptian politics of the period (the translator Robyn Cresswell provides an excellent introduction) you sense the eight-ninths below the surface of Ibrahim’s carefully constructed prose. The New Directions edition includes also Notes From Prison, a selection of notes on writing and art from Sonallah Ibrahim’s seven years as a political prisoner. Ibrahim’s prison memoirs have yet to be translated, so with a wish to read more of his work I’ve ordered Stealth. I know Michael Wood as the author of Literature and the Taste of Knowledge and Yeats and Violence, both works of literary criticism that I liked very much. Wood both selected the letters in this edition and writes the introduction, saying that the letters reveal not Calvino’s “real self” but his “plain self”: “We eavesdrop not on his secrets but on his devotion to clarity.” (Jonathan Galassi recently reviewed this book for NYRB). 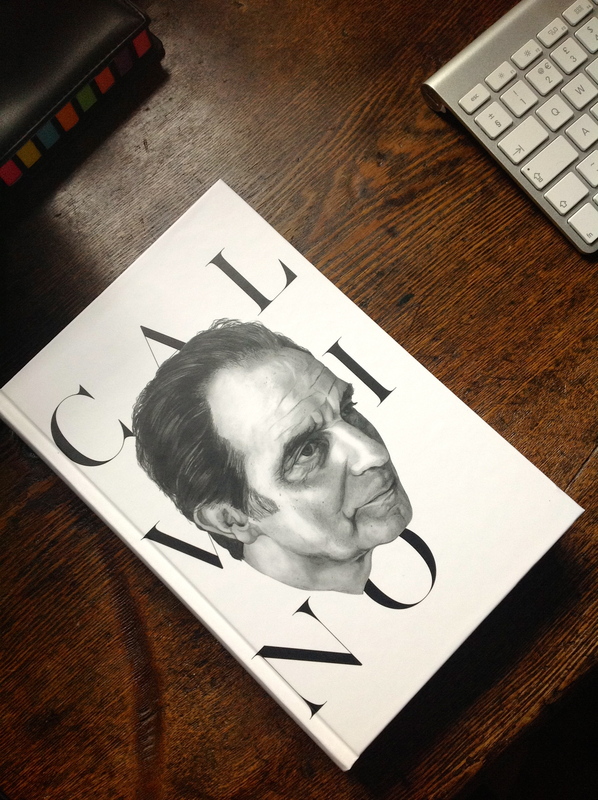 Along with the second volume of Reiner Stach’s Kafka biography, this collection of Calvino’s letters is one of my two most eagerly anticipated books of 2013. Leafing through the index I can see fairly extensive referencing of Barthes, Borges, Kafka, Primo Levi, and Elsa Morante, but also that pretty much every writer I have time for gets at least one mention. [..] I notice that I’ve started classifying historical figures, writers, cultural movements into “paradisiacal” or not, As happens with these juxtapositions invented on the spot (which also have their own auxiliary usefulness, as long as one doesn’t dwell too long on them), the system always works out: the “paradisiacal” ones are all those I systematically distrust, the “non-paradisiacal” are those from whom I believe I’ve gathered some concrete teaching. How many paradises there are, for instance, in recent literature! What can be more “paradisiacal” than Surrealism? And psychoanalysis? And Gidean irresponsibility? But even more significant, it seems to me, is the fact that the most coveted myth in modern literature is a regressive paradise: memory. And what can one say about the gelid paradise of the Hermeticists: absence? Of course, the letters have disarmed me and demand my immediate attention. Brian Dillon’s I Am Sitting in a Room is the first in Cabinet’s 24-Hour Book series. Dillon’s book explores the scenography and architecture of writing itself. Inspired in part by Georges Perec’s short fragment in Species of Spaces on Antonello da Messina’s painting of St. Jerome in his study, Dillon’s text is both a personal reflection on the theatrics of the study, the library, and the office, and a historical consideration of such writerly paraphernalia as Proust’s bed, Nabokov’s index cards, and Philip Roth’s moustache. Cabinet is now my only magazine subscription. Apart from Cabinet my media consumption is entirely online, in one form or another. You never know what you will be reading about when Cabinet shows up. (With a subscription you also get access to the archives.) I’m not on commission here, just pushing you toward the good stuff. I used to have a dozen subscriptions to publications, not only literary journals, but found that they were sitting unread while I caught up with Twitter and my RSS feed. I get more reliable literary criticism from Stephen Mitchelmore, David Winters and Michelle Bailat Jones than I got once from more mainstream publications. Striking red cover and bold title apart, the production quality of I Am Sitting in a Room is crap. I’m not easy on my books; I scribble on them and bend their spines. In this case, the pages started to fall out before I got ten pages in. That aside, the book is short, seventy-odd pages, and comprises Brian Dillon, who I’ve intended to read for ages, writing about writer’s routines and the places where writers go to write. Autobiographical in part, also a study of writers including Ernest Hemingway, Susan Sontag, Roland Barthes and Joan Didion, accompanied with photographs of writer’s studies. That’s my summary, though you may prefer Cabinet’s version above. Could there be a critical trope less tolerated, now, than the unadorned litany of tastes and distastes? The dumb list smacks too easily of the ins and outs of style-mag trend-scouring, or recalls too readily the fine distinctions conjured by Nancy Mitford’s essay ‘The English Aristocracy’ (1954), with its anatomizing of social discourse into ‘U’ and ‘non-U’. The list may be a reminder of a certain critical responsibility: the duty to judge that I feel I ought to live up to, and can never quite fulfil. But it is at the same time so banal, so unsophisticated a form (an obtuse sort of syntax: one damn thing after another) that I resist it with every sinew of what I suppose I must call, begging the question, my sensibility. PINTER: [..] I read Hemingway, Dostoyevsky, Joyce, and Henry Miller at a very early age, and Kafka. I’d read Beckett’s novels, too, but I’d never heard of Ionesco until after I’d written the first few plays. INTERVIEWER: Do you think these writers had any influence on your writing? PINTER: I’ve been influenced personally by everyone I’ve ever read—and I read all the time—but none of these writers particularly influenced my writing. Beckett and Kafka stayed with me the most—I think Beckett is the best prose writer living. My world is still bound up by other writers—that’s one of the best things in it.